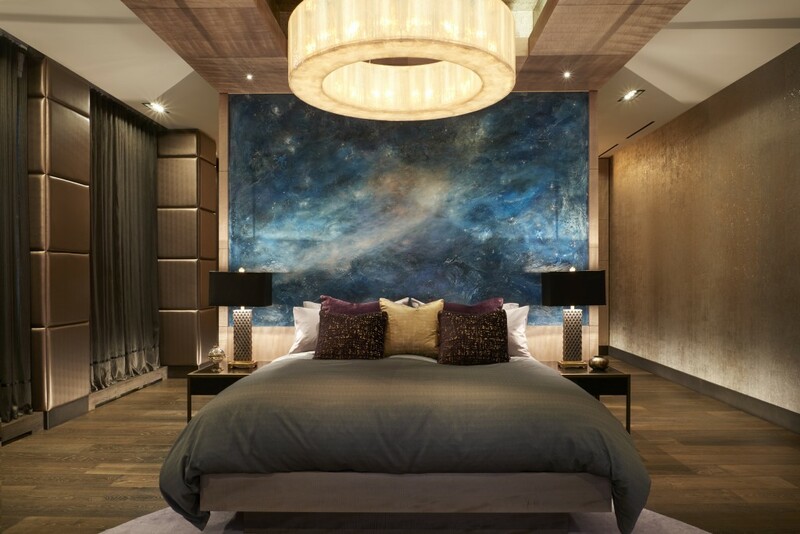 Lavish Bedroom Oasis | Portfolio Projects | Fleur-de-lis Interior Design Inc. 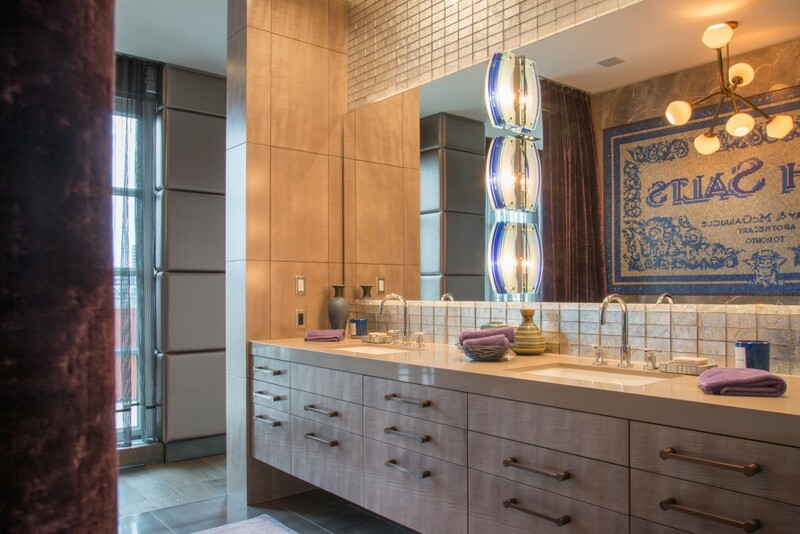 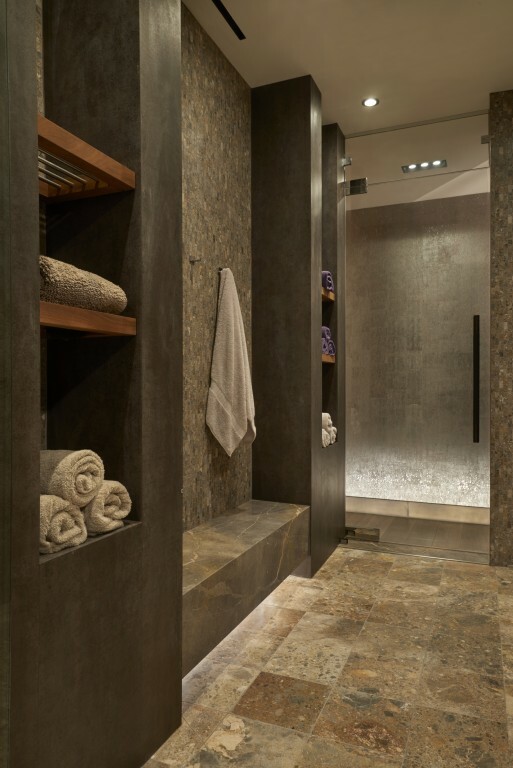 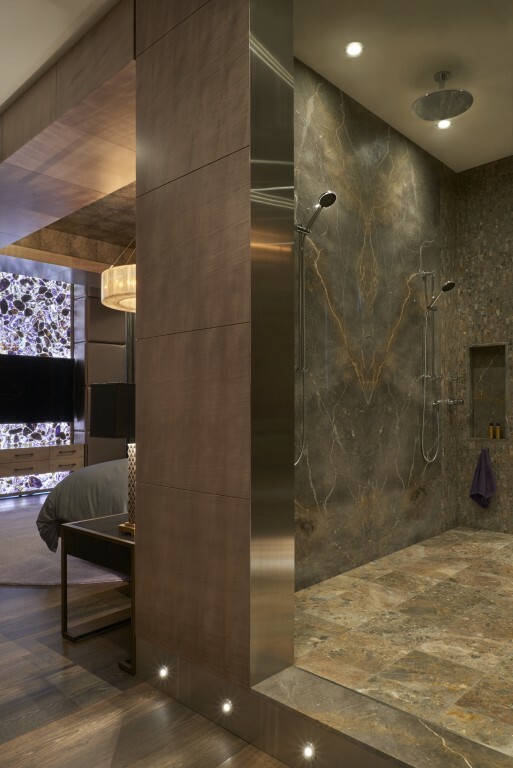 The linear layout of this penthouse master enables a dramatic flow from bedroom/shower/bath area/vanity space/concealed lavatory culminating into the two expansive dressing rooms. 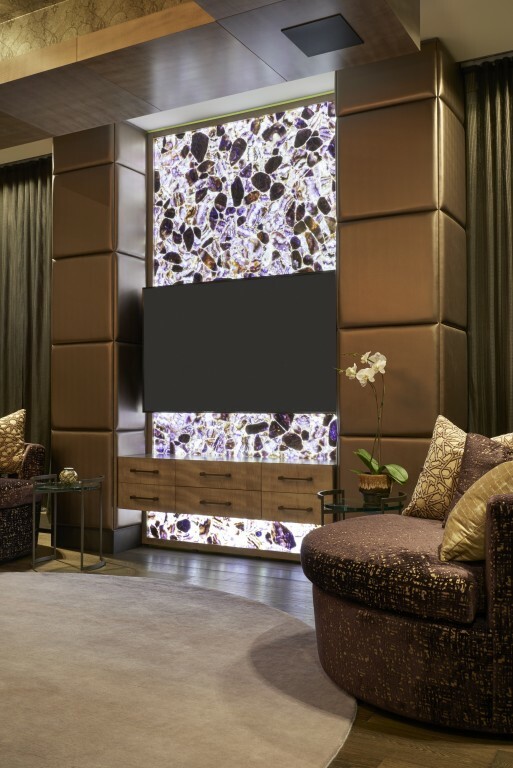 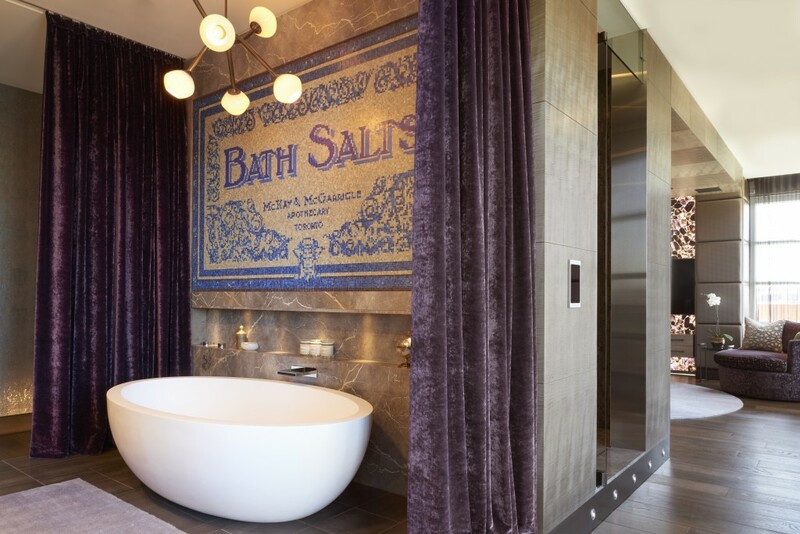 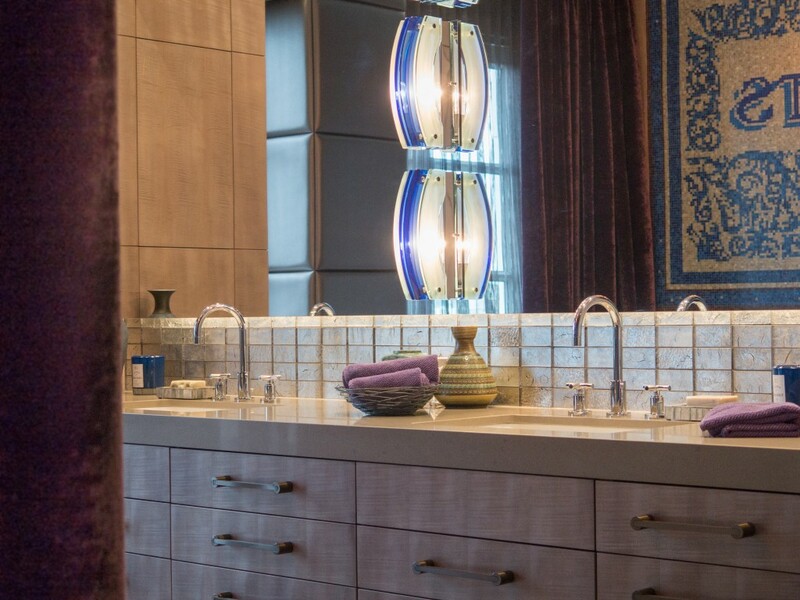 Taupe stained sycamore built-ins/fioro de bosco marble/leather clad columns/hand painted fresco/custom mosaic apothecary mural/and an exotic amethyst back-lit wall form the architectural features. 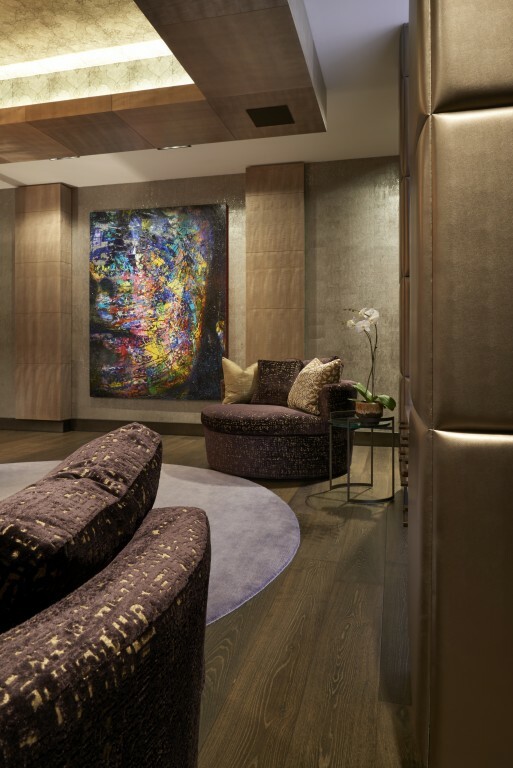 Chenille swivel chairs/velvet drapes/and mohair rugs create the warmth and decadence that make it an irresistible retreat.